Hyundai Asia Resources Inc., showcases their leadership in mobility solutions with the announcement that two electric vehicles will make their way to Philippine shores: the Kona Electric and the Ioniq Electric. The Kona Electric is Hyundai’s first-ever all-electric compact crossover. Appealing to people with active, eco-focused lifestyles, it fuses an eye-catching exterior with confident handling, and of course, zero tailpipe emissions. The Kona Electric employs organic geometric body forms and sporty contours for a modern, eco-oriented appearance. Its distinctive design is reinforced by the car’s voluminous, futuristic body styling. The front presents a future-focused, modern presence, with a cross-hatch, debossed design element for the grille area. The electric charging port is seamlessly integrated with this grille area for convenient, head-in parking at charging stations. The front view is flanked by aero-tuned flared fenders that enhance its road presence. It’s further enhanced by a separated-headlight design signature, with LED Daytime Running Lights above and available high-efficiency LED headlights below. The sleek and simple interior accentuates the modern and efficient exterior design. The Kona Electric exclusive shift-by-wire drive controls are supported by a center console upper bridge element with an integrated open-access lower storage bin for convenience. The audio/navigation display incorporates advanced infotainment features. 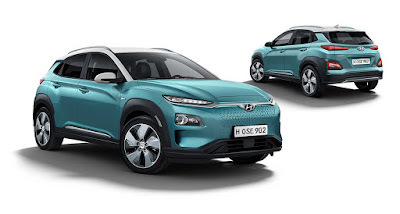 The Kona Electric powertrain employs a high-efficiency 150-kW (201-horsepower) permanent-magnet synchronous electric motor supplied by a high-voltage 64 kWh lithium-ion battery. It should offer 415 kilometers on a single charge as well. It was developed with a focus on enhanced driving dynamics and responsive performance for a variety of urban and multi-surface driving conditions. The front suspension features a MacPherson strut system using an innovative sub-frame bushing design for enhanced comfort and reduced NVH. At the back, there’s a multi-link rear suspension design for overall agility, ride comfort, and stability with minimal ride vs. handling compromises. 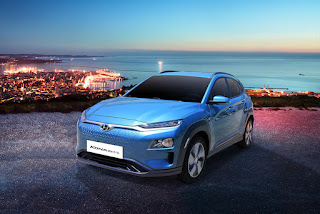 The price of the Hyundai Kona Electric is pegged at P 2,388,000. 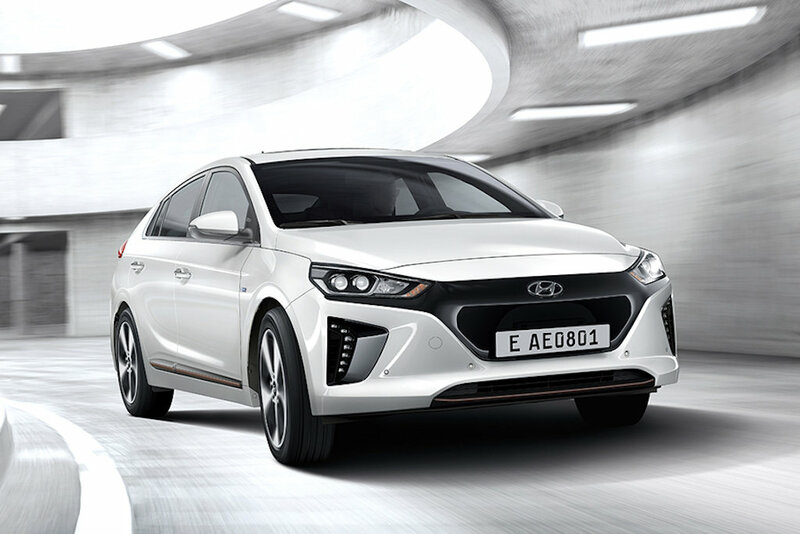 Meanwhile, the Ioniq is Hyundai’s electric vehicle built on a dedicated platform. The Ioniq offers a sleek, aerodynamic silhouette with a class-leading 0.24 Cd derived from carefully designed surfaces. Its fluid exterior shape and smooth air flow channels emphasize aerodynamic body lines and design forms. The Ioniq Electric offers pure electric mobility with a 28 kWh lithium-ion polymer battery for an estimated driving range of 200 kilometers. The Electric motor has an estimated maximum output of 88 kW (120 horsepower) routed through a single-speed reduction gear transmission. The price of the Hyundai Ioniq Electric is pegged at P 1,868,000. Is pure ev vehicles are now allowed on our Philippine roads, i mean 4 wheel ev vehicles.. Can you register to lto?